Posted on September 28, 2015 by Appropos / This entry was posted in Informative and tagged chillum, glass, hindu, pipes, rastafari, smoking. Bookmark the permalink. A bat is a straight, conical pipe. It’s origins date back to an eighteenth century Hindu group called the sādhus. The sādhus are greatly respected and sometimes feared in India. They follow a school of thought known as advaita which rejects duality and utilizes altered states of consciousness. Through these practices they strive to elevate themselves above what they consider to be the illusory nature of reality. Their austere practices are often considered taboo and contradictory to conventional life. In English the word ‘sādhu’ translates to ‘good man’ or ‘holy man’. It branches from the word ‘sādh‘ which means ‘to reach one’s goal’ or ‘to make straight’. The sādhus live a life dedicated to achieving moksa (liberation) which is the fourth and final aśrama (life stage) in the Hindi belief system. It is a popular ritual within the sādhu culture to use the bat pipe as a sacramental tool inline with their worship of Shiva. The use of the bat is seen as a means of realigning one’s mind with God to help with meditation, reduce sexual urges, and provide clarity and strength. It is not meant to be a tool for intoxication. One is supposed to control the pipe rather than be controlled by it. Bat pipe use continues with the sādhus today. A growing number of Hindu people, specifically those living in the more urban areas of India, resent the sādhus for their bat pipe use, believing that it paints a negative face on Hinduism, as images of sādhu bat pipe use has become popular within Western culture. Rastafarians are also well known bat pipe users. Because bats are easy to maneuver and pass between people, they tend to foster unity and togetherness. The concept of togetherness being very much a part of the Rastafari belief system, the bat pipe has become very popular among Rastafarians. The bat pipe is a primary tool used in Rastafari reasoning sessions. 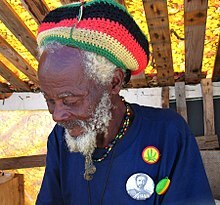 It serves as a means of connecting those participating in the session with Jah and bringing people together by diminishing ego boundaries that may stand between them. This custom continues today in high practice, with reasoning sessions taking place all over the world and even being broadcast online. The bat pipe started to gain popularity in America during the sixties with many thought leaders of the time traveling to India and returning with Hindu ideas, practices, and artifacts. Traditionally bat pipes are made from stone, clay, wood, cow horn, and even human bone, The westernization of the bat pipe turned it into a primarily glass piece. Traditional bat pipe use requires an accompanying stone, which is simply a stone small enough to fit within the pipe and act as a filter. Glass blowers, however, can utilize various techniques, such as thinning out the airway to circumvent most of these filtration needs. Glass blowers can also incorporate many other functional and decorative techniques. One of these techniques is called ‘double blowing‘ or blowing ‘inside-out‘ glass. Double blowing glass greatly improves the glass’ durability. It also allows for a wide array of decorative options such as fuming and colored glass insertion. Though there are many more styles of bat pipe available today than there have ever been, bats are less popular than they were when it was one of the only methods of smoke inhalation available. Water pipes and other devices have made bat pipe use less necessary. Many people who view smoking objects as ritualistic and/or decorative hold the bat pipe in high regard due to its long history and spiritual significance. The fact that bats are also very portable, easy to use, and often very beautiful keeps the bat pipe a popular smoking device that is easy to find in most smoke shops and within the collection of many smokers.